There are so many times when as residents of the S.E. Michigan, we feel we saw a flash of a small thing, or we can hear squeaking like noise. But these are not enough to determine a rat infestation. Rat infestations can be recognized by droppings, burrows around the perimeter of your home, surrounding structures like a shed or detached garage) and fresh gnawing marks around the foundation or crawl space access door. If you find droppings inside of the house, especially in areas close to the kitchen, you have a problem. Rats can enter through a ½ inch opening, so they can easily enter your home, and find shelter in hard to reach tight spots. Rats eat both human food and dry pet food, which is why they are attracted to homes seeking both food and shelter in the same place. So if you feel you have a rat infestation, make sure you store all your fresh grains, dry pet food, and meats out of reach. As rats can climb to reach food, it will be best to store these foods properly. Rats require the only ½ to 1-ounce liquid water per day, especially when they are on a dry food diet. Keep in mind that rats have a keen sense of smell, hearing, and taste. They can climb to find shelter, and run fast to save themselves. So the first thing you should do is seal off any area that is bigger than ½ inch. So they cannot get in easily, or chew their way in by making small openings bigger. 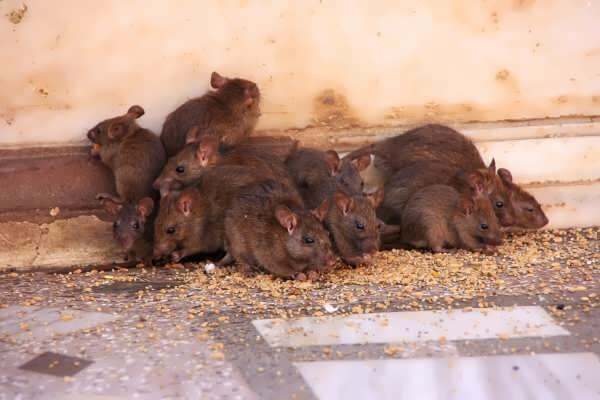 Professional Rat Exterminator – you can call in a professional like CJB Pest who will tell you how to exterminate while dealing with the situation for you. Calling in a professional is advised as they can take care of all the problems you will have to face, and fully trained in rat extermination methods. So when looking for ways to exterminate rats, keep in mind that calling in a professional will help you get rid of the pest in an easy way. Calling in a trained, licensed professional is the best way to exterminate rats quickly and efficiently. We also provide you with a written inspection report on how to prevent future problems. D.I.Y. – extermination is not an easy task. For instance, when thinking of rat control, what traps to use. Humane traps, glue traps, snap traps, poison, etc. this is just one of the many decision you will have to make them exterminating rats. It is essential to make a plan and follow it and use the right kind of gear while doing so. One of the most efficient ways to control rats is by ensuring a well-maintained property on the outside, and a sanitized living space inside. 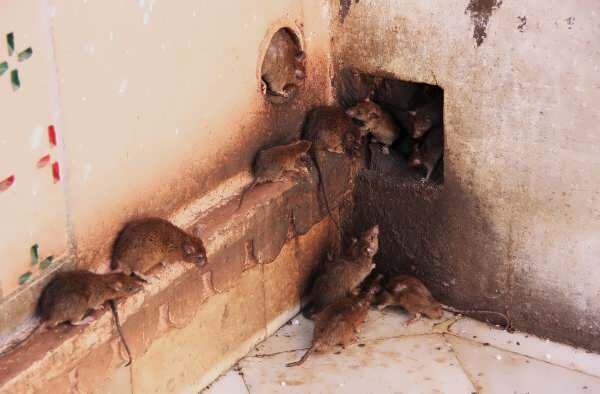 Rats are attracted to clutter or filth, as they find it easy to live in and can easily access the food. So when you start to think about rat prevention, the first thing you should focus on is sanitation. A good cleaning does not guarantee 100% success, but it is an excellent way to control their existence. With a good cleaning, you can quickly make sure that you have removed the hiding spots, and have created a barrier between them and the food. These are the two basic things they look for, so when you cut them off from their primary needs, they start to move. So keep in mind that you want to keep your house and property in good order. Including, the inside and the outside of your house. Start by getting an inspection from a professional like CJB Pest, we will advise on any corrections needed on the property or the home itself. Keep trash properly stored and remove any additional food sources like bird seed, pet food, or dog feces.